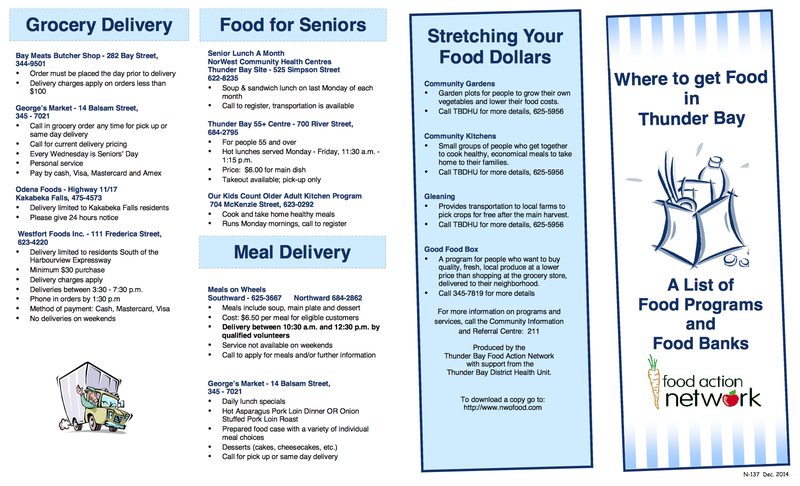 There are many programs offered in and around Thunder Bay that provide food for free or for deeply discounted! 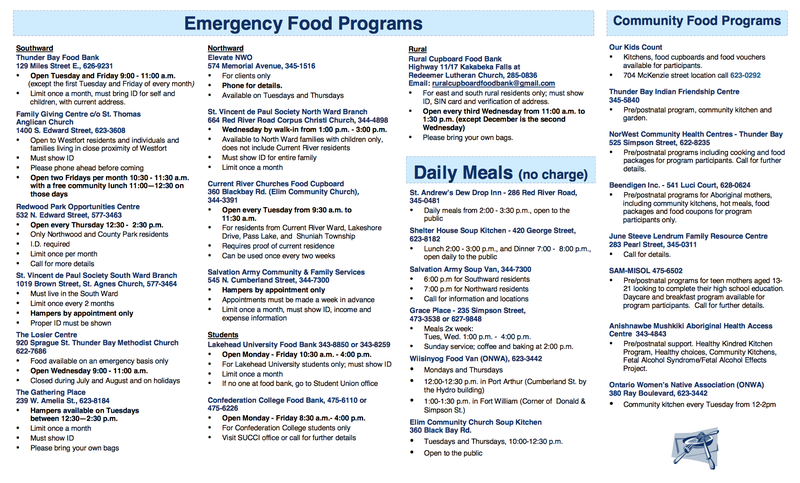 *** NOTE – The Redwood Church and St Vincent de Paul Society North Ward Branch DO NOT have a food bank. Please do not contact them!